Joel McAllister is a lieutenant in the Confederate Army—or at least he was, until Lee surrendered. Now he's determined to get as far away from war as possible, somewhere beyond North and South (and maybe somewhere with some gold): Idaho Territory. Accompanied by his steadfast sergeant, Riley, the two former soldiers travel westward from Texas. 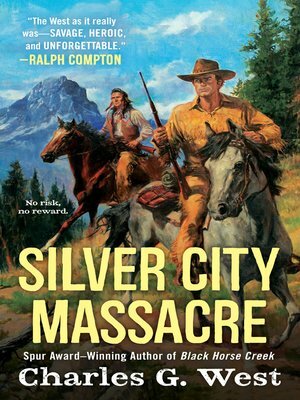 But the trail to Silver City is littered with peril—including a band of notoriously merciless Comanche warriors. When his traveling party expands to include two women survivors of a Comanche raid and a Bannock Indian, Joel will need to rely on what soldier's instinct he has left in him to deliver everyone to Silver City alive—and keep them alive once they're there.